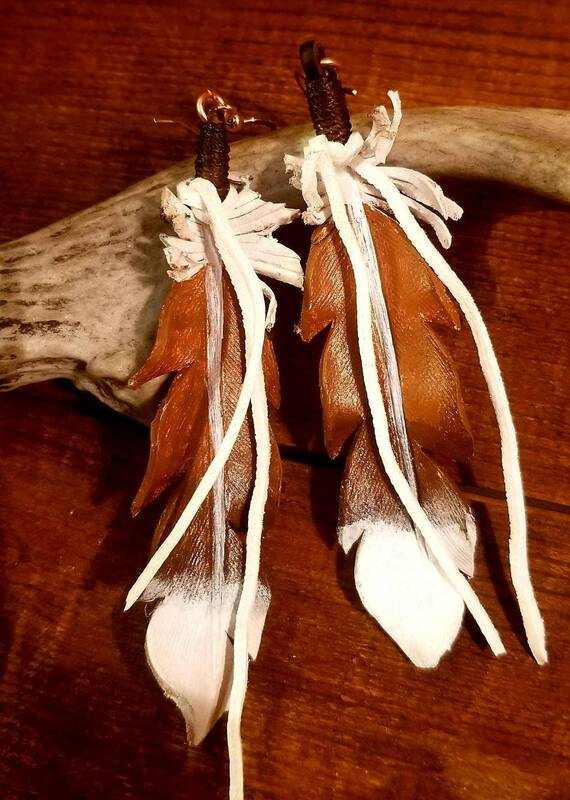 Hand-crafted from leather, these earrings are perfect for your gypsy cowgirl style. 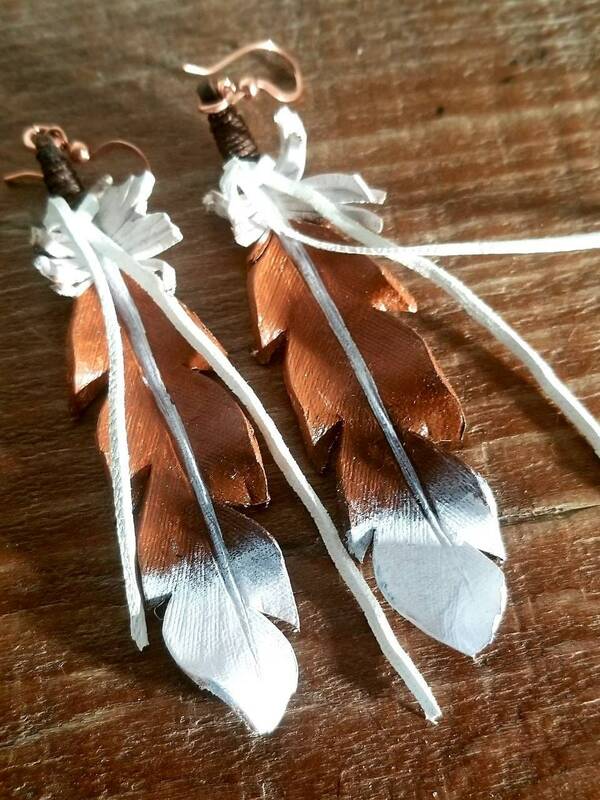 The feathers are hand cut and shaped before being hand-painted in a pretty brown to white ombre. 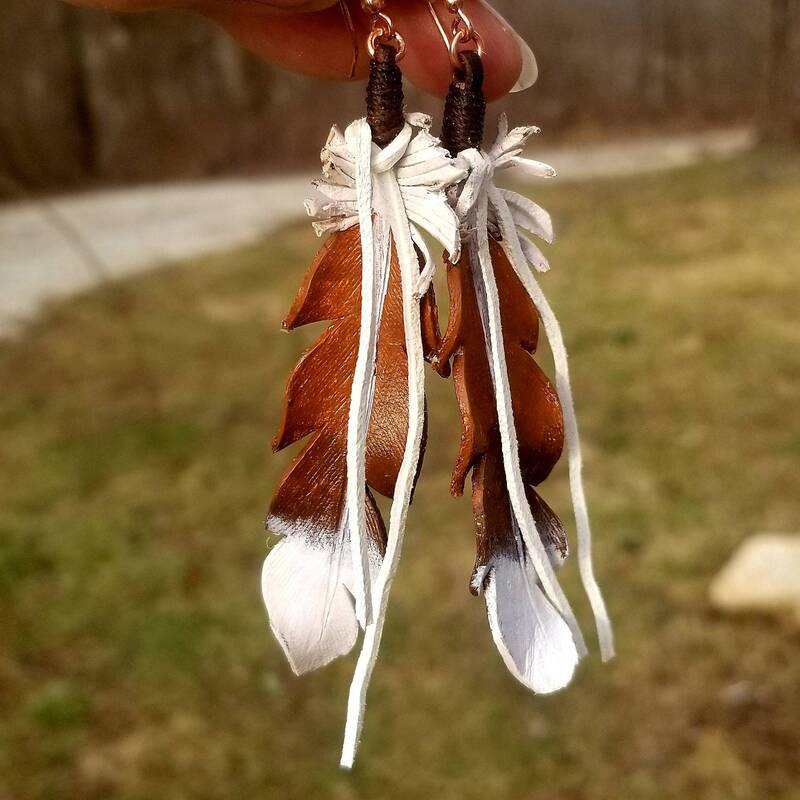 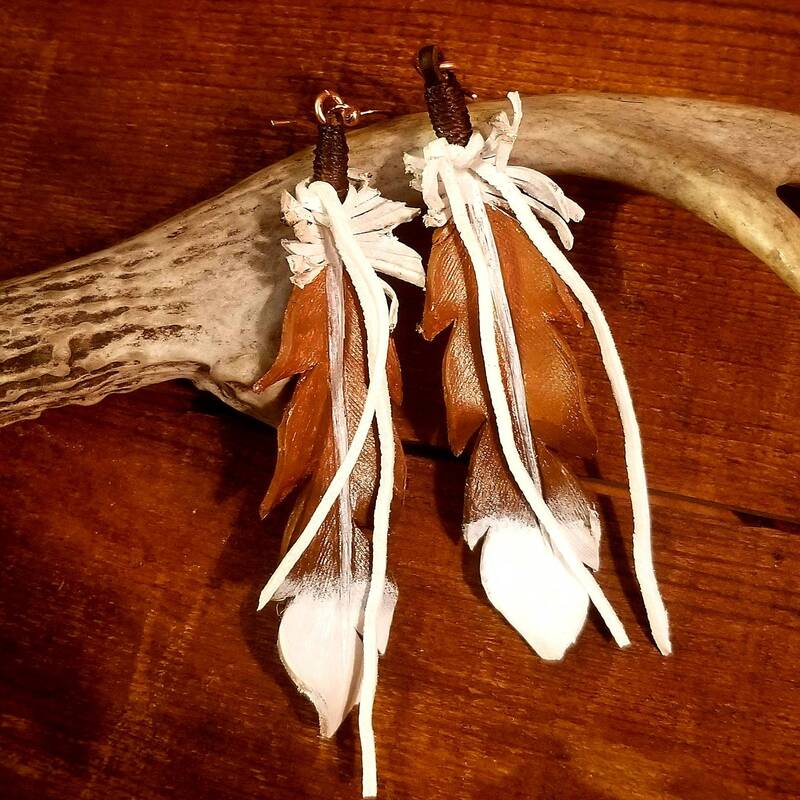 The earrings hang from antiqued copper earring wires, are 2.75 inches long and accented with white deer skin leather ties.